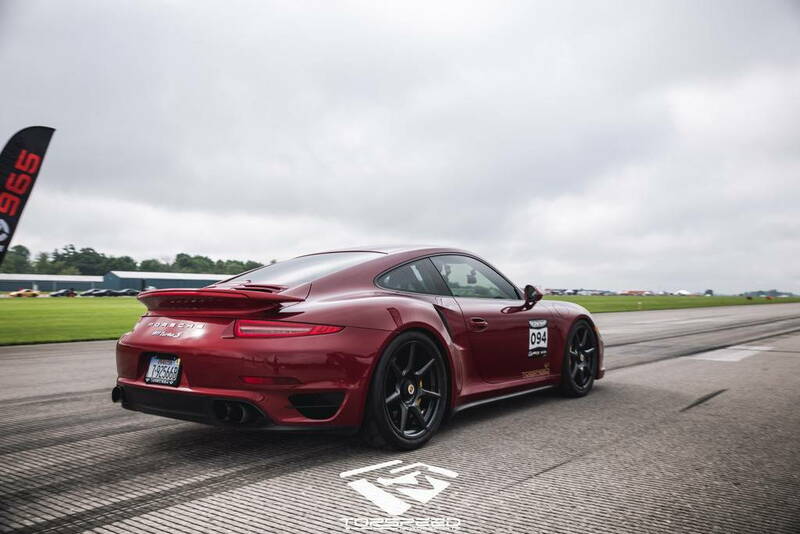 This weekend was the weekend dreams came true for our Porsche program here at TopSpeed Motorsports (TSM). As many of you know based on my other threads we have been progressing very strongly in 991 Turbo development. My team has been dedicated to collecting information, finding weak points, and building the strongest 991 Turbo platform in the world for the better part of a year now. We have tested different setups, had 100% proprietary parts developed, and spent hundreds of hours refining the details behind our in house tuning program ensuring we don't just blindly push the limits in areas these cars don't like, but rather intimately learning exactly what they respond positively to by dyno and street testing. After our initial test in Colorado we were certainly excited to get our development car back to the half mile. Our customer Jeff and CC are the owners of the car and are simply amazing people to work with. Very down to earth and very understanding of the fact that we are pushing the limits of components in order to be at the very front of our industry. While the car has performed flawlessly without missing as much as a beat, they know what it takes to be the fastest in the world, and I couldn't be more honored to work with them. 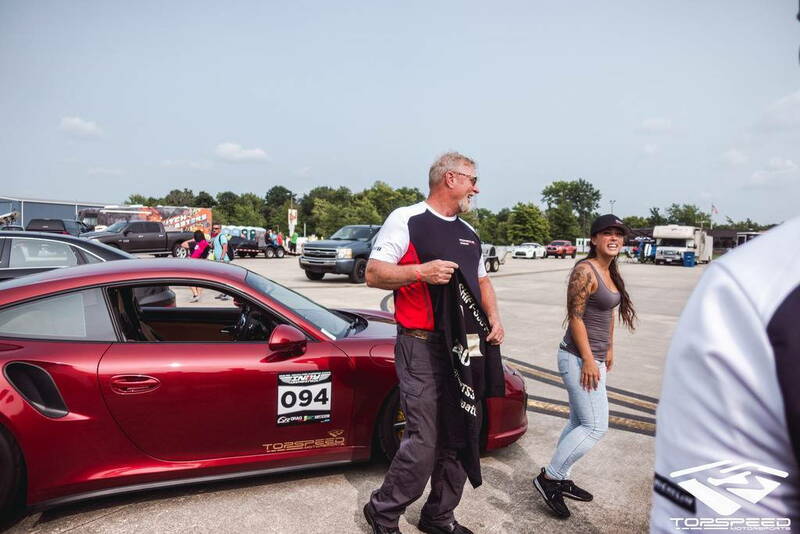 So this past weekend we took the country’s fastest 991 to Indiana and hung out with the team from Shift-S3ctor in an effort to take down the world record pass of 200.2mph set last fall overseas by ES. I knew the car had the speed in it honestly, it was just a matter of how hard I wanted to push it to get the MPH. With stock gears in the transmission it's frankly uncharted territory knowing just how far to push. We very strategically have the tune set up to work with the weak links as this for sure isn't our first rodeo. Shift cuts are in place where we ramp the power back in very progressively to lean on those parts in a linear fashion without just hitting them with a bunch of go fast torque and crossing our fingers. The left side of the boost curve ramps in conservatively to keep everything happy. I explain all this to inform the community that there is more to it than just making power at these levels. I can't even tell you how much power is left on the table if I wanted to glory pass the car, however that isn't the goal. Strategically making sure we are the fastest and stay the fastest with a car that lives the longest is the goal! Ok now with all of that info I'll dive into the passes. The first two passes I ran in the car to shake it down and make sure everything was running properly. Off the trailer the car trapped 199mph turned down considerably. I was confident that we were going to be in the high 190s but 199? Wow! I must say the Porsche just uses power so dang efficiently it's crazy. We had made 1280+hp on the dyno but I had my tuner turn it down considerably for that first pass. From there we simply added 2psi of boost and went back out. 201.97mph!!! Second pass!!! We had done it, the fastest 991 on planet earth! Now... I know what some of you are thinking ... "cool they made up their own record based on the year of the car" Honestly I totally agree and understand that some of the records these days are pretty out there. While I love all P-cars I feel the future of the PDK is very bright, so we are very, very focused on the newest generation of PDK Porsches. With the world record in the bag it was for sure time for me to hand over the keys. The customers drove the car for the entirety of the rest of the event. The car did pass after pass between high 190s to a best of 201.88. We didn't touch the power portion of the tune at all. Was there more? YES! Tons more. However we had done what we came for and were satisfied. 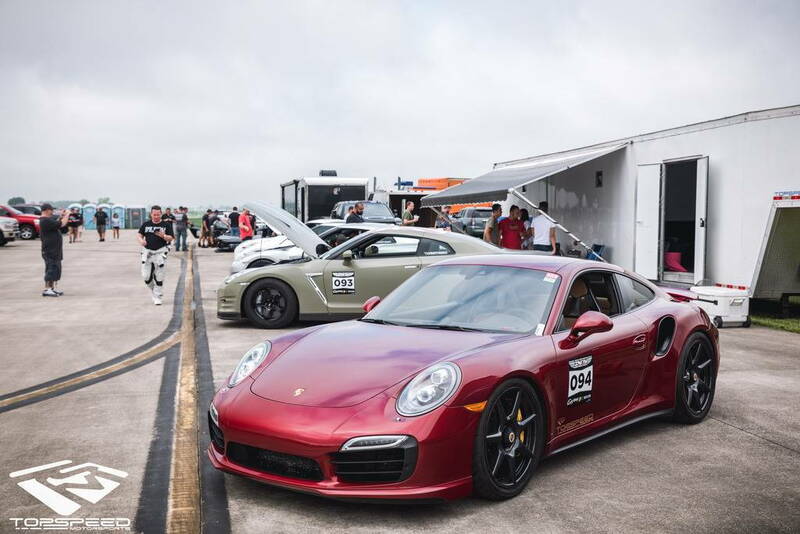 The customers enjoyed the crap out of the car the entire rest of the event and was even able to take his son for a 196mph ride along down the airstrip. All in all just an amazing weekend! Big thanks to everyone from Shift Sector as well as my TSM staff. My crew puts in 110% all the time to make sure our cars perform and I couldn't be more blessed by it! Next up the New Orleans half mile with WannaGOFAST in less than a month. Can't wait!!! Here is a little more interesting data from the weekend. While we were not tuning the car for 60-130 or 1/4 mile we still were able to lay down some impressive data. We have the car coming in through 2nd very soft to keep the tires and gears happy so the 60-130 is effected drastically. As we continue to push I'll specifically start leaning on the car to increase these times. As for 1/4 mile this was NO LAUNCH whatsoever and still ran a 9.5 @ 161 according to the GPS data. Congrats Jeff and TSM - It's amazing how far you guys are pushing the platform. Are there any videos of the run? That is a very impressive accomplishment and looking for more from you guys in the future. Is this the same car that was at Atlanta Streetcar Takeover around 2015 or 16...You'd just put Nitrous on it and set a 1/4 miles record? LOL yes back when Vengence was building it before this engine, turbo kit, clutch and everything else we put on it ... it did have Nitrous. 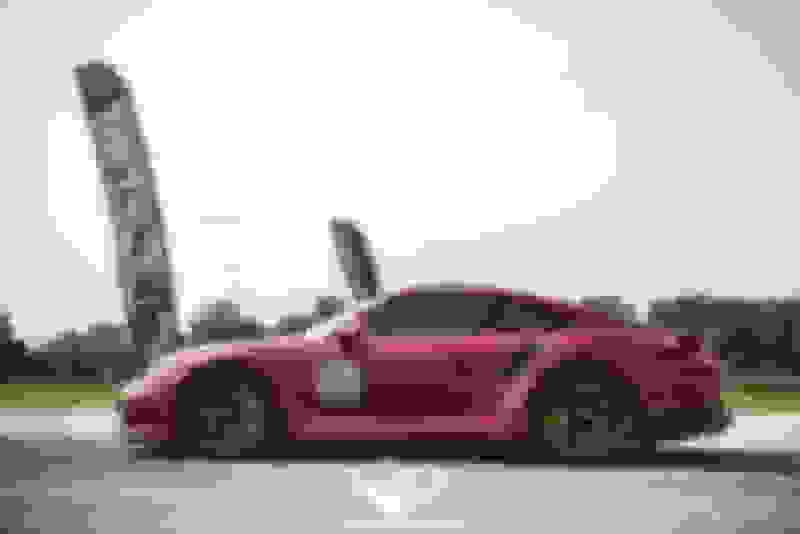 Vengence did what they could with the car but used more muscle car tactics on it than modern performance. We very much so did the complete opposite with very strategic strategy as to how to put the car and owner on top. I have a cell phone video that isn't that good lol! I can post it if you like. Thank you sir! We couldn't be more excited to be a part of the community. Thank you sir! Appreciate it very much. I thought I recognized the guy in the pics. I was at Vengence that day. I was the guy that had the 1050 WHP Diesel Truck that ran 10.70 @ 130 that Sat. But, it was running low 10's which was impressive for sure. Last edited by Big Swole; 08-22-2018 at 12:30 PM. Huge congrats. Hope we see other customers follow suit. Ciccio is the man! congrats! I contacted you before to put some of your magic sauce on my R35 unfortunately I ended up selling it and switched to P cars. Good to see you on here I know you'll make this brand crazier!